Notes from the Slushpile: First #UKYA Easter Egg hunt starts today! Have you seen this banner here, there and everywhere today? 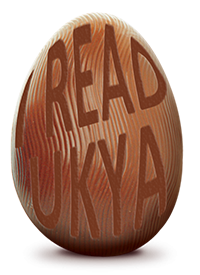 It is the UKYA Easter Egg Hunt: and this is what it is, how it came about, who is involved, and what we hope to achieve. A few months ago I was reading an article published in the UK about YA books that seemed to focus rather hard on books published in other countries.Well...one other country in particular: the US. There are SO many amazing authors in the UK, and one thing I hear over and over again from readers at events is how much it means to them to read a book that is actually set here, in a place that they recognise as their own. I was thinking, wouldn't it be great to run an online event to raise the profile of UKYA - both here, and internationally? But I needed an angle. He pointed out that his favourite time of year was approaching! You know, when some other bunny - the Easter bunny - gets credit for leaving chocolate eggs lying about the place. 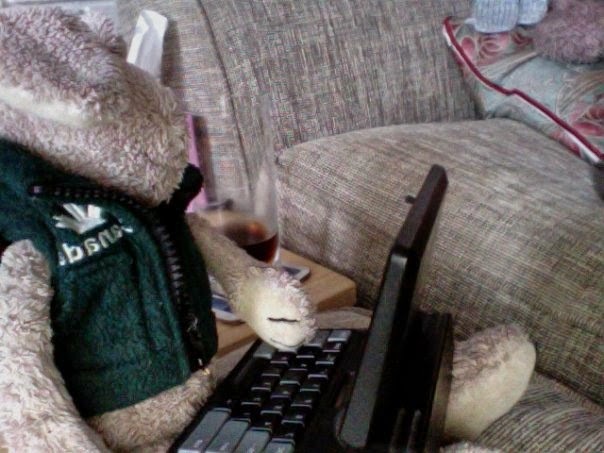 Of course, we all know that Banrock is really responsible, just like he writes my books, but he is a generous bunny. Long ago he decided it was ok, so long as he got his cut of chocolate eggs and wine from my book launches. That Banrock has some great ideas. But what to do to make it happen? Do not count this egg in the blog hop! it is merely an example egg, so you know what you are looking for on all the blogs. Doesn't it look yummy? Then we contacted author friends and said wouldn't it be fun to have an egg hunt? And before long we had a lovely group of awesome enthusiastic authors. *this was a typo, but seemed to fit so I left it there. Thanks so much to everyone who have been jumping in and sorting things out while Candy and I have been vanishing to do school events and being vanquished by the dreaded lurgy. Apologies to any lovely authors who missed out taking part this time: this has been a bit ad hoc and last minute. If we do it again next year, we'll do it with more lead time! 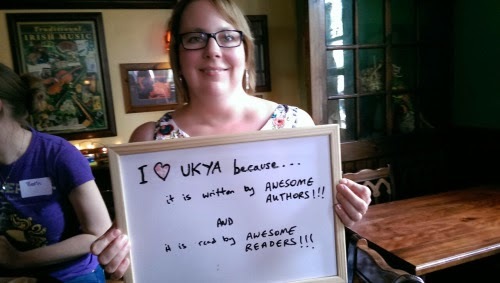 Now, please spread the word: UKYA is awesome; there is an Awesome Grand Prize; and everyone should follow the blog hop*, both for a chance to win, and to find some new authors and books to read! *bunny gifs or dancing like a hopping bunny yourself are optional, but always appreciated. That egg up there doesn't count by the way! OK, have added a caption to make it crystal clear! This blog is about the UKYA Egg hunt, but it isn't part of it. To take part, you need to visit any of the blogs of the authors listed above, and each is linked at the end in a circular fashion so you keep going until you get back to where you started. Can you eat the eggs?? This is our big #fail. You can only feast with your eyes.